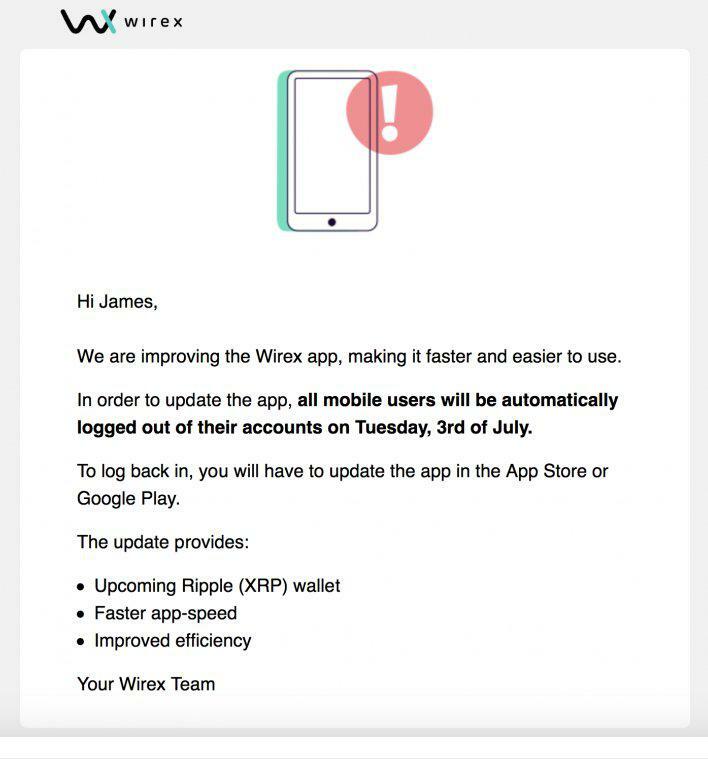 Wirex, cryptocurrency wallets linked to cryptocurrency and traditional currency exchange and payment solutions is soon to add support for a Ripple’s XRP wallet in the coming days. A user found on XRP chat, the app is undergoing some updates for future advancements. Wirex is a cryptocurrency wallet provider linked to physical and virtual Visa debit cards, as well as cryptocurrency and traditional currency exchange and payment solutions. They have branches in London, Singapore, Tokyo, Delaware, Toronto, and Kiev. Within 2017 the company served more than 900,000 customers in over 130 countries. $1 billion transaction volume is achieved in 2017. The accounts on the platform are given a specific account number and sort code that is available to countries around the world. The Wirex platform features various other features such as cryptocurrency wallet which enables customers to buy cryptocurrencies directly from their account or exchanges. Multi-Signature technology, SSL encryption, and 2FA are used to ensure high security for the wallets provided by the platform. Also, the encryptions are available in both variants- desktop and mobile. XRP backed by Wirex wallet is a boon for the crypto world and crypto enthusiasts and investors. XRP can be sold and interchanged with supported cryptocurrencies accordingly depending on the need of the user using Wirex wallets.